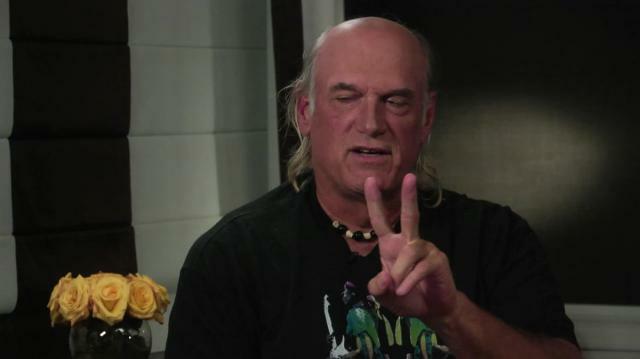 Jesse Ventura is setting the stage for his 2016 presidential run as an independent. During an interview with Larry King on "Larry King Now," Ventura cites two conditions he requires before he would seriously consider running for president of the United States. Like Ross Perot in 1992, Ventura says he would first call on a nationwide grassroots movement to support his platform. Jesse Ventura's second condition before campaigning is access to the debates. Gary Johnson, an independent politician in the 2012 election, could not participate in the debates because he is neither Republican or Democrat. In 1987, the CPD (Commission for Presidential Debates) was established by the Republican and Democratic parties to organize and host presidential election debates in the United States. To date, a third ticket has not been allowed to enter or participate in the debate. Ventura says that, if this two ticket policy were to change and allow him to participate alongside the Republicans and Democrats, it would guarantee him greater success as a presidential candidate. During his political career, Jesse Ventura has served as both Mayor of Brooklyn Park, MN and 38th Governor of Minnesota. Ventura believes his participation in the gubernatorial debates were instrumental to him being elected in 1999. Ventura also claims campaign funding is an obscene waste of finances and resources. In his opinion, these large amounts of money would be better used helping to solve national problems and giving support to Americans in need rather than making 'bozo' television ads to slander fellow candidates.